David Bramwell is a name familiar to many Revivalists, his Singalong-A-Wicker Man show has become almost legendary in our little corner of the internet. David is an incredibly busy and talented man. He has produced programmes for BBC Radio 3 and Radio 4, he gives talks and performs one man shows on a variety of fascinating topics from tricksters to ghost villages. He also co-hosts the Odditorium, a rather splendid podcast based around the book of the same name, one of several that he has co-written with Jo Tinsley (formerly Keeling). We could go on, David’s achievements are many and varied, but they are always interesting and always done with an incredible sense of joy. His latest one man show The Cult of Water opens at the Soho Theatre in London on the 28th January, and I was lucky enough to catch up with David for a chat about this new show and a few other interesting titbits Revivalists may enjoy. FHR: Hi David, can you tell us a little bit about your new show, The Cult of Water? Would it be fair to describe it as a psychogeographical journey around the waterways of the Yorkshire of your youth, or is that perhaps a little too simplistic a reading of it? David: That’s a pretty good summary. I grew up in Doncaster. It’s a personal journey up the river Don – told through story, music and and archive film – in search of the supernatural secrets of our inland waterways and to uncover a mystery concerning the drowned village at Ladybower Reservoir in Derbyshire. It’s also a journey back through time to the source of the Don and an age of water worship; the Don originally took its name from the water goddess, Danu. Along the way I learn about hydromancy from magician Alan Moore, encounter Jarvis Cocker on his own adventures sailing down the Don on an inflatable inner tube, and come face to face with ‘the spirit of dark and lonely water’ from the old public information film of the 70s. I also uncover the story of artist Mark Golding who, with the help of LSD, unearthed a sacred spring in Hastings – believed to have been frequented by Aleister Crowley – and whose waters saved his son from a terminal lung disease. At the heart of The Cult of Water is an exploration of the symbolism around water, its association with feminine power and the profound ways in which the elements affect our psyche. FHR: I believe you’re being joined in the show by folklorist Chris Roberts who is going to discuss the lost rivers of London? This sounds like a fascinating talk in its own right. What can you tell our readers about Chris and his work? David: Chris is a South London based tour guide, author and expert on many aspects of London folklore and history. Most of his walks are river focused, whether Thames or other, and all of them are rich with legends of the city. He’s written a book (Cross River Traffic) on the history of London’ Bridges and articles on the lost gods of the river as well as delivering talks on the folktales associated with London’s water from feral swine in the Fleet to sacred wells to Saxon goddesses and the ongoing religious rites on the Thames from the Jewish, Pagan, Christian and Hindu traditions. He was folklore consultant for Stella Duffy’s theatrical piece Taniwha Thames in which a New Zealand river spirit follows a ship back to London and takes up residency under Waterloo Bridge. In 2007 Chris founded the magazine One Eyed Grey, which took many of London’s old myths and legends – such as the legendary shape shifting sorceress of the sewers and hidden rivers Queen Rat – and re-imagined them in a modern context. It culminated for the two of us in a collaboration for Radio 4, a programme called London Nights, in which Chris did the heavy lifting in actually writing the stories while I read them out in my best Martin Jarvis. These stories featured a ghost boat on the Thames and a mermaid at Brockwell Park Lido. Brockwell lido is sort of Chris’s unofficial office, all year round. He’s a water baby. And made of hardier stuff than me. FHR: Can I ask what inspired you to write this show now? Is this something that has been on your mind for some time or was it triggered by recent events in your life? David: I’ve wrestled all my life with thalassophobia – the fear of large bodies of water – and wanted to confront this fear. In the last ten years I went down a rabbit hole researching water cults, sacred springs and wells. I wanted to pay my respect to water. I also became interested in the idea of following a river back to its source. I knew if I was going to make this journey as a pilgrimage it’d have to be along the river Don where I grew up, to search for its lost water goddess and to trace its biological and metaphorical death and resurrection over the millennia. When I discovered that Sheffield adopted Vulcan – the Roman god of fire and forge – as its mascot in the 1800s, the story began to catalyse as a mythic battle of the sexes: goddess of water vs god of fire. During the industrial revolution Danu was the equivalent of a princess locked in a tower and being force-fed MacDonalds for 200 years. I also wanted to draw on my experiences of being haunted by the image of the drowned church of Ladybower Reservoir poking through the waters during the drought and ladybird plague of 1976. This led to a deeper exploration of the symbolism of stone and water, lines and circles, male and female, the line and circle and finally binary code. I figured if I tell this story and make amends for Vulcan then thalassophobia might loosen its grip. (It has). In terms of how I wanted to tell the story, Alan Moore’s live spoken performances with music – Snakes and Ladders, The Birth Caul and Highbury Working – were a big influence. When he agreed to provide his voice for some of the Cult of Water I was over the moon. The central premise of his novel Jerusalem seems to be that in staying put anywhere (in his case Northampton) and digging deep enough, all the meaning and myths are there, as long as you know how and where to look. It’s the same with Alan Garner remaining in Alderely Edge for sixty-odd years and mining a different kind of landscape for stories. If Moore could rewrite Northampton as Jerusalem I figured it was time to try my hand at doing that with my old home town of Doncaster. FHR: I believe the show is directed by Daisy Campbell, the daughter of theatre legend Ken Campbell. Have you known each other for some time, or did you specifically come together with this project in mind? David: My first solo show, The Haunted Moustache, which delved into magic, spiritualism and the occult, was created with Ken Campbell’s help. I got to know Daisy because of Ken. She’s been a friend for many years. We’re currently collaborating on a podcast series, making her dad’s vast archive of recorded one-man shows available for the first time. Being a seeker, Daisy was the obvious choice for directing this show. FHR: I believe you have worked on a number of broadcasts for both BBC Radio 3 and Radio 4 including a programme about the legendary Ivor Cutler. Can you tell us about any amusing encounters you may have had with him? David: In the mid-90s I sent some scribblings to the poet Ian MacMillan who, at the time, had a slot on the Mark and Lard show on BBC Radio One. Ian seemed to like my poems so I sent a bunch to my hero Ivor Cutler. Cutler was less than enthusiastic and suggested I do something useful with my life instead, such as ‘becoming a teacher or a botanist’. He was right of course, my poetry was awful. But it’s hard getting a rejection letter from your hero. 20 years on I’d started presenting programmes for Radio 4 and got a call from a producer saying that she was considering me as presenter for an Archive Hour on Ivor Cutler and offered me a minute on the phone to ‘sell myself’. I thought for a moment then remembered the rejection letter from Ivor. ‘Do you still have it?’ she asked. ‘I dug it out, read it to her and got the job. So thanks inadvertently to Ivor, I got to make a documentary about him, meet his friends and family and even perform live on one of his harmoniums. If Ivor had still been alive to hear the programme I’m sure I’d have received another rejection letter. FHR: Many of us know you from your rather wonderful and always well received Singalong-A-Wickerman show. What have been the strangest things to have happened during the various performances of this show? Do you think you were able to invoke something of the ritual spirit that infused the original film? David: Things got strange when, ten years ago, the director Robin Hardy started showing up at our gigs, sometimes with wife and family in tow. I never imagined I’d be leading the director of the Wicker Man in the actions to the Maypole Dance. It was delight to have Robin’s support for the show but it was always a bit odd him being there; we do at times, gently take the piss out of some of the clunky dialogue in the film. The relationship culminated in us us doing the show with Robin in the Elengowan Hotel in Dumfries and Galloway, which is where all the original bar scenes were shot. Over the years we’ve also had several individuals overcome with the desire to re-enact the naked scenes from Willow’s Song on stage with us. It’s always men. And someone in Belfast once threatened to shoot me for blasphemy. My blood turned cold when he whispered into my ear: ‘I’ve killed before and I’’d kill again.’ I believed him. FHR: Beyond adapting The Wicker Man as a sing-a-long. Can I ask you about how the ideas of Folk Horror have influenced your work in general? Are there specific artists, film makers and writers whose work has particularly been influential to you or do you draw more inspiration from the countryside around you? David: Folk Horror has been, and continues to be, a huge inspiration. Like many of a certain age I really was scarred for life by the spirit of dark and lonely water and haunted by TV programmes like Children of the Stones. I love the unsettled atmosphere of Garner’s work and films like The Shout, Penda’s Fen. And of course The Wicker Man, despite having watched it now over 100 times. More recently the work of Peter Strickland and films like November show the genre is evolving. There’s a line by Alan Moore that I’ve used in The Cult of Water and also in a track by my band Oddfellow’s Casino: we have wandered too far from some ancient totem. Something central to us that we have misplaced and must find our way back to, following a hair of meaning.’ For me, Folk Horror re-connects us to an age of magic, when everything was imbued with meaning. For me at least, the dark heart of Folk Horror beats strongly in The Cult of Water. Thank you to David for speaking to us at FHR, and if you want to buy tickets for The Cult of Water they are available now from the Soho Theatre priced from £10. Just head along to the link below. You can also check out David’s own website for more information on David and any future events or shows. Noh is an intimate form of Japanese traditional theatre that dates back to at least the 14th Century. 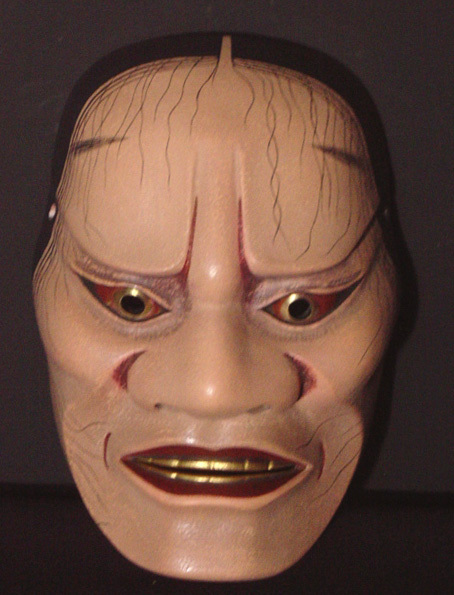 Though generally light on props, Noh does however utilise masks to a large degree. 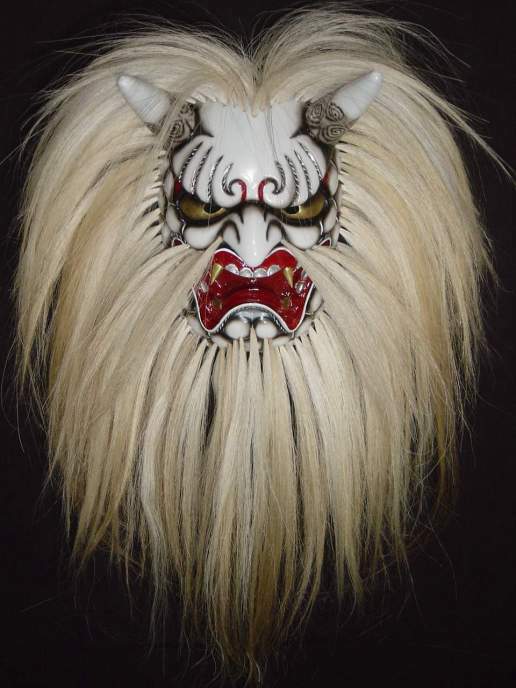 As many Noh stories deal with supernatural themes, Kishin (demon) and Onryō (ghost) masks are prevalent. 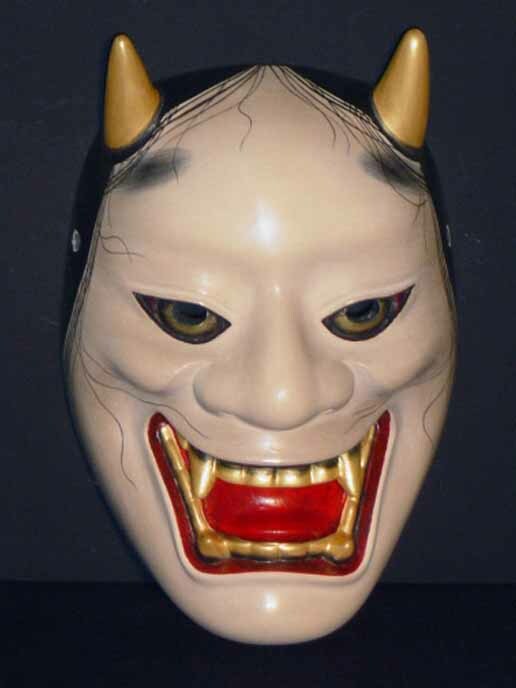 The Hannya mask above represents a woman who turned into a demon. 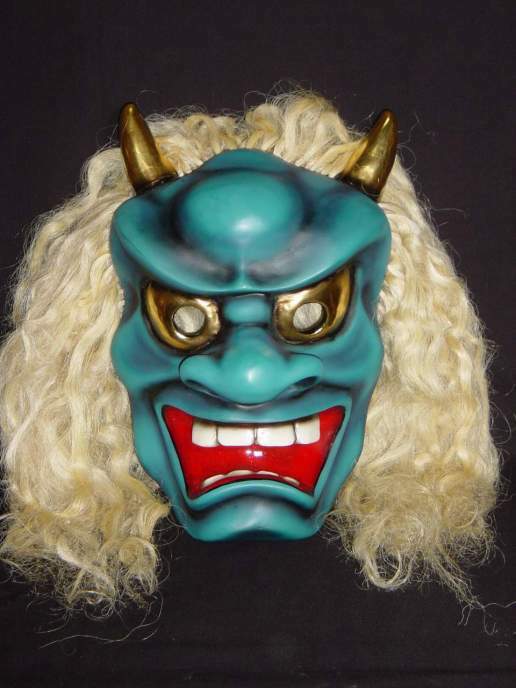 It is a familiar mask to those who have seen Kaneto Shindo’s classic 1964 film Onibaba. 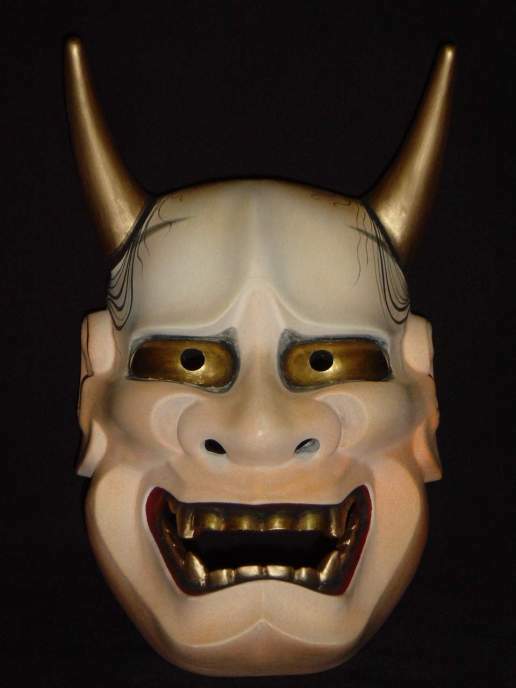 This mask ^ is representative of Hashihime, a woman who fearing she had been abandoned by her lover drowned herself and became a jealous and dangerous spirit. Namanari is a creature midway between human and demon. Their corrupting element may be a desire for sexual revenge. Kitsune are trickster fox spirits that can transform into human form. 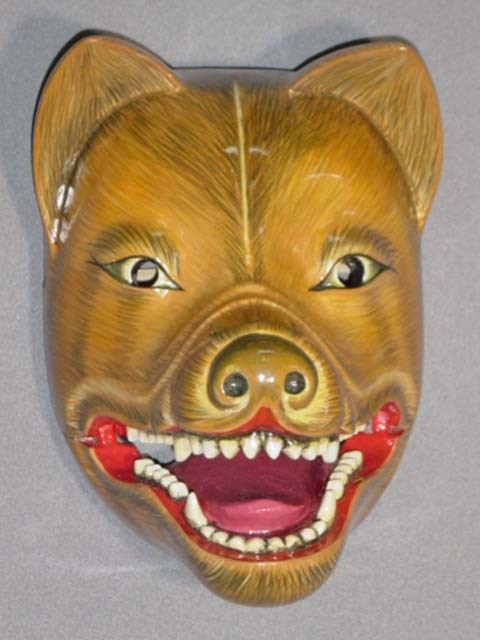 Though in Japanese lore some foxes were sly goblin figures, others were the messangers of the Shinto spirit Inari. The Ushi-Oni or Gyūki are bovine like demons that although are sometimes said to attack people are represented as protective spirits at the Uwajima summer festival. Tengu are part bird-part human. They generally dwell in mountainous or forested regions where they may be considered protective spirits, but in some lore they are considered warlike beings. The name Daikijin literally translates as Great Devil God but they may be utilised at village ceremonies as protector spirits. 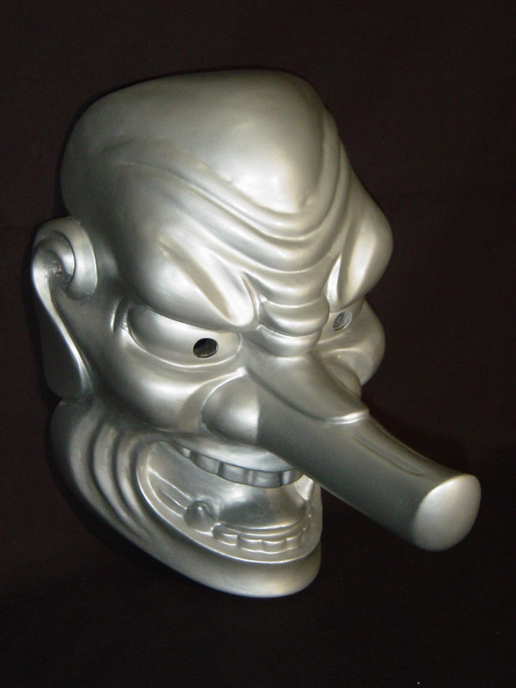 Click on a mask image above to purchase or visit Here to browse and buy other items available in the Noh mask collection. Great news!! Witch~Cult Tickets are now available at a great discount rate. Music from: Black Mountain Transmitter, The Heartwood Institute, Nathalie Stern, Georgia Seddon, Hokano, Peg Powler, and Marcus H.
5 hours of film including 2 full length features and a number of shorts with 2 showings, 12pm to 5pm and 7pm to 12am. A wide variety of fascinating talks and lectures on Witches and Witchcraft running from 12pm to 5pm. An array of musical talent performing live for your delectation from 7pm to 1am. Folk Horror Revival is proud to present Witch~Cults – a day and night of wondrous entertainments at the Star & Shadow in Newcastle upon Tyne. Poetry by Bob Beagrie (with musical accompaniment by Peter Lagan). Short Films – Who Put Bella in the Witch Elm – American Witch – Thelema – Conjuration. Compere – Andy Paciorek – featuring the book launch of ‘The Wytch Hunter’s Handbook’ by Dr Bob Curran and Andy Paciorek. Wyrd Harvest Press. `Unburied’ – Folk Horror takes centre stage. From the creators of BADD : Bothered About Dungeons & Dragons comes their new project, UNBURIED – in part inspired by the first FHR event `Otherworldy’ held at the British Museum in 2016. Join Folk Horror enthusiast, Carrie Marx, as she conducts a personal investigation into the cracks in our collective memory. Beginning with a study of British television classics such as ‘Children of the Stones’, ‘The Owl Service’, and ‘Doctor Who’, Marx leaves no stone unturned as she unearths a terrifying mystery, buried in our cultural past. When we questioned Chris about their approach to this production his reply will no doubt sound like a folk horror revivalist idea of heaven – but I imagine the fact that a self-written, acted and produced piece of theatre is the desired end result will have added many stresses and worries to this otherwise wonderful sounding use of one’s time…. “We were already fans of a lot of Folk Horror films (and I had watched all of Doctor Who, apart from those elusive missing 97 episodes…) but it was only since attending the British Museum Folk Horror Revival event in 2016 that we started specifically delving into the television of that era. We adore all of Nigel Kneale’s work, and spent a good chunk of Christmas holed up watching MR James adaptations. 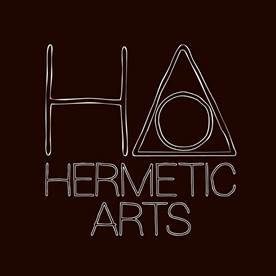 HERMETIC ARTS is a multidisciplinary producing partnership, creating genre work in theatre, film, podcasting, and animation. It is 50% Chris Lincé and 50% Carrie Marx. Specialising in the Dark Arts, Horror, Cryptozoology, Mischief, Science Fiction, and Odd Stuff, their previous show, BADD, (a theatrical exploration into the 1980s US Satanic Panic) premiered at the 2017 VAULT Festival, before transferring to the Brighton Fringe, and a sell-out run at the London Horror Festival. THE TRIANGLE OF ART: This symbol represents the protected space outside the magic circle, into which spirits are compelled to appear in Solomonic ritual magic. Its function is to concentrate the spirit being invoked into one space so that it can be seen visibly. The purpose of the triangle is to keep the manifested entity contained. HERMETIC ARTS is committed to protecting its audience from any entities that may be manifested.